Are you planning a holiday in June in Sardinia? The Village Isola dei Gabbiani offers packages in special offer suitable for all travel needs. In our accommodation just a few steps from the sea you can enjoy a wonderful holiday with family or friends, taking advantage of special rates and discounts on activities to do in our Holiday Village in Northern Sardinia, right in front of the archipelago of La Maddalena. Our equipped beach awaits you for relaxing days when you can devote yourself to the first tan while your children play safely on the shore, while in the evening you can enjoy the best traditional Sardinian dishes in our restaurant. The temperatures in June in Sardinia are perfect for everyone: families with children can enjoy the beach and the sea never too crowded and with a warm but not excessive sun, ideal for swimming and sunbathing safely. 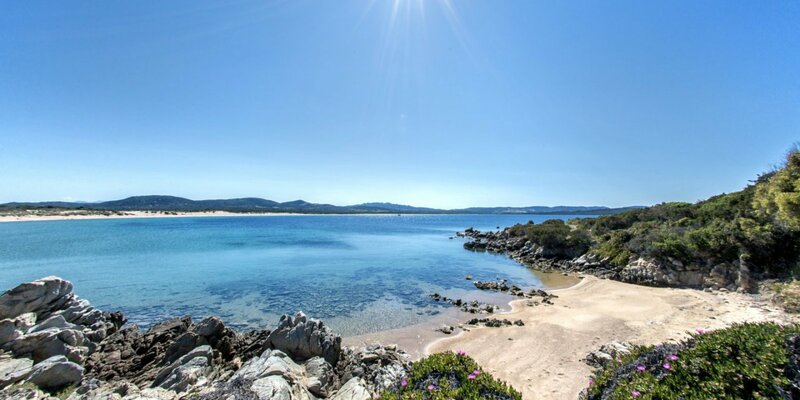 Throughout June in Sardinia you will be spoilt for choice on the activities to do in this corner of paradise: you can organize excursions (on foot, by bike or on horseback), take long swims in the sea or try one of the water sports practicable in the bay of Porto Pollo, a few meters from our Holiday Village. With our special offer for June you can enjoy a 15% discount on the rental of windsurfing equipment and the promotion that gives you 30 minutes of free canoeing. June is the watershed between spring and summer and in Sardinia explodes not only nature, but also numerous festivals that celebrate ancient traditions or typical products of the season. Cherry festival: The cherry is the fruit symbol of the beginning of summer and in Sardinia there are several countries that dedicate a festival to this delicacy. Among these we remember Bonnanaro, Bonacardo and Burcei.